Experience downtown living in this super 2 Bedroom, 1.5 Bath condo thats located in the highly desired North Main neighborhood! You will love the low maintenance vinyl exterior, covered front porch, rear patio with storage closet and the designated parking spots outside. Inside you will discover luxury laminate flooring that extends throughout the living areas and an open floorplan that allows for easy everyday living. A large Great Room gives you plenty of space for entertaining. 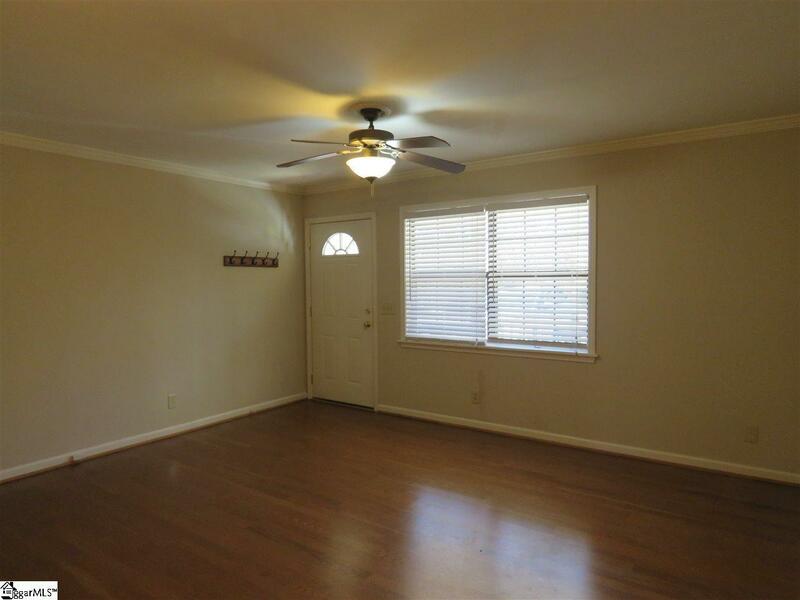 It includes crown molding and a lighted ceiling fan that stirs a gentle breeze. 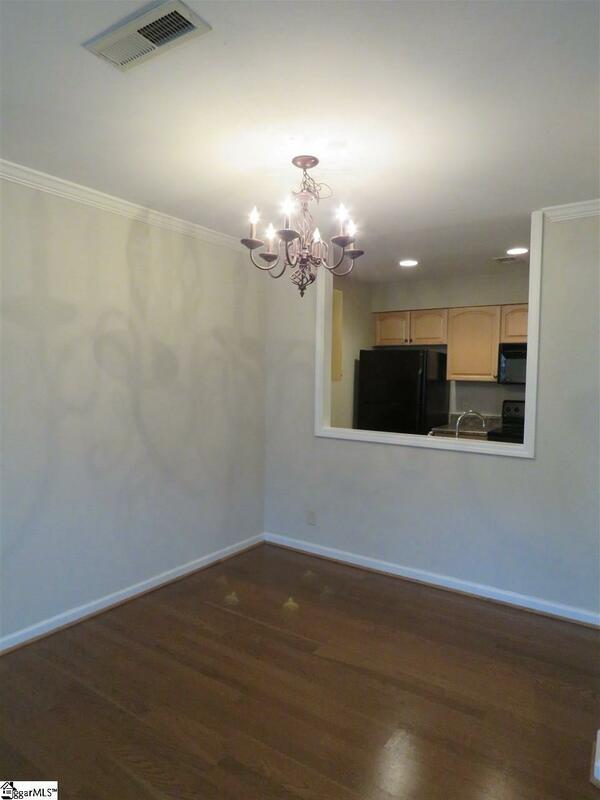 The Great Room transitions into the Dining Area where you will find a designer chandelier. A cut out in the Dining Area serves as a pass through to the galley style Kitchen thats equipped with honey toned cabinetry, excellent workspace and a full appliance package. 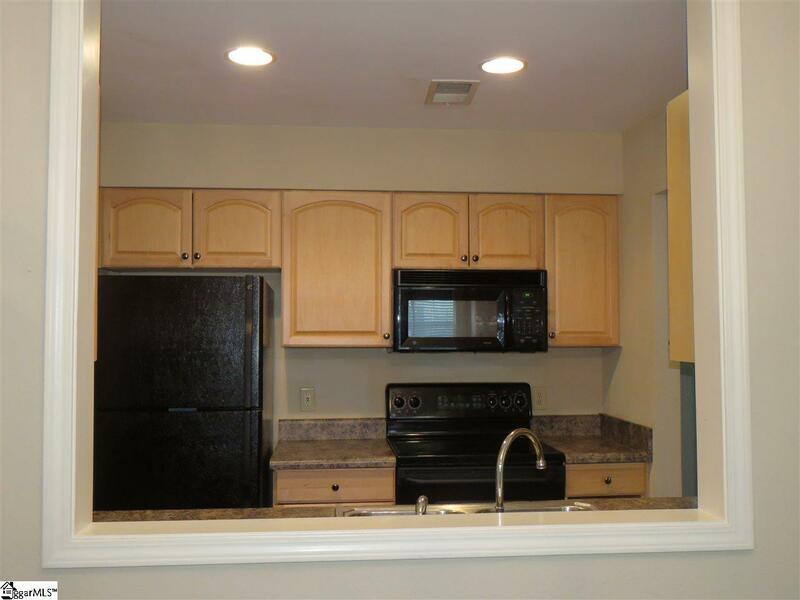 The first floor also gives a conveniently placed half bath and a Laundry Room thats comes with a washer & dryer. 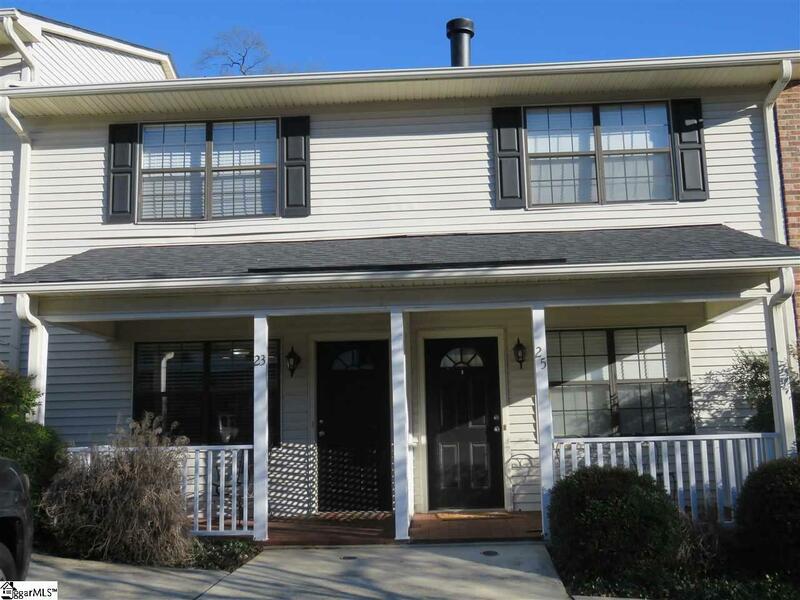 Both bedrooms offer a private upstairs location and they feature neutral carpet and custom closets. They share a hall bath that has a tub/shower combination, single vanity and tile flooring. Current school zonings are Stone Elementary, League Middle and Greenville High Schools. Pet friendly with additional fee.